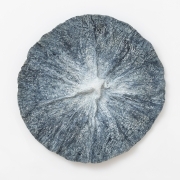 Ohad Tsfati is an Israeli artist who creates objects from his own hand-made paper. Tsfati uses mulberry bark, an historic material for making paper, first used in China around 100 AD. Tsfati uses a method similar to the Japanese technique for creating washi, in existence since about 600 AD. He mixes the bark with water, pulverizing it into a pulp that is spread and dried to form large sheets of paper. 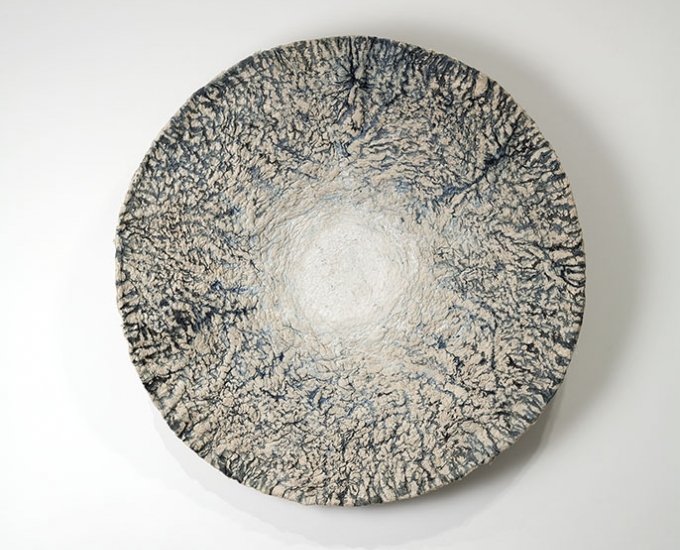 Tsfati then manipulates the paper into different forms, most predominantly circular, to create wall hangings, bowls, chairs, and light fixtures. 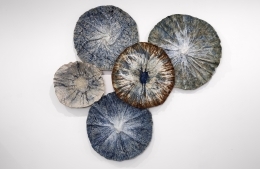 He colors the pieces using natural dyes, like indigo, spinning and tilting the pieces to achieve his desired coloration and pattern.